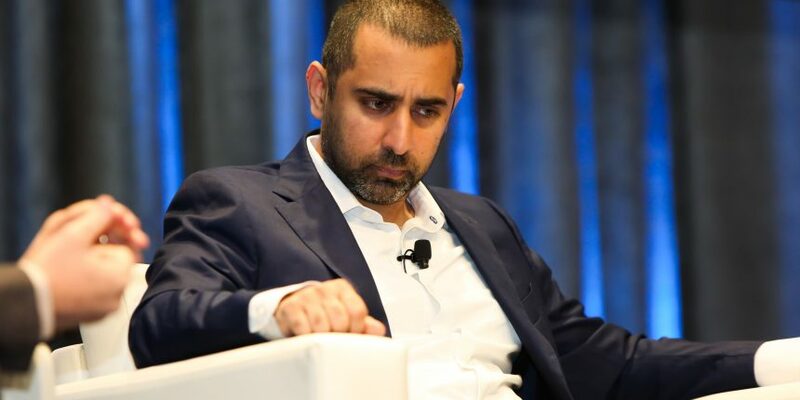 Crypto exchange startup Coinbase is adding the 0x protocol token to its professional trading platform, Coinbase Pro. 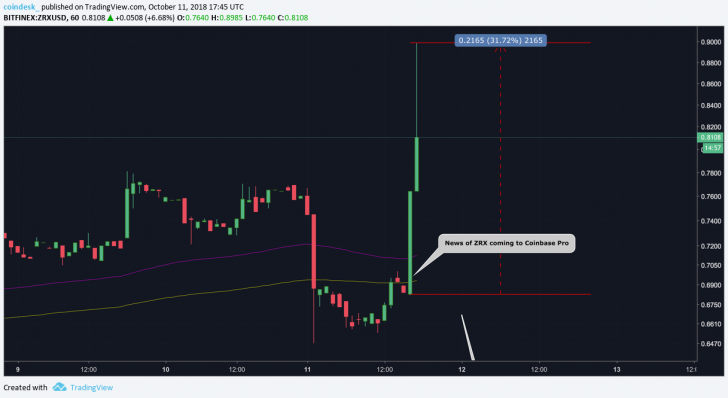 Announced Thursday, the exchange said in a blog post that it had begun accepting deposits for ZRX, and would enable trading around 5:00 A.M. UTC, or after at least 12 hours after the initial announcement. The move represents the first time the platform has added support for an ERC-20 token that runs on the ethereum network. “Once sufficient liquidity is established, trading will begin on the ZRX/USD, ZRX/EUR and ZRX/BTC order books. ZRX trading will be accessible for users in most jurisdictions, but will not initially be available for residents of the state of New York,” Coinbase Pro general manager David Farmer wrote. While ZRX is available through Coinbase Pro, it is not presently available to investors through coinbase.com, or its iOS and Android apps. Like some of its previous rollouts, the addition of ZRX will see four stages: transfer-only, post-only, limit-only and full trading. The token’s price began pumping after the announcement, jumping to its highest point since mid-August, according to data from CoinMarketCap. As of press time, the token’s price hovered at 84.9 cents, up 13 percent on the day. As can be seen in the above chart, the surge in ZRX price began a few minutes before 17:00 UTC to ultimately reach a 31 percent increase from the daily low of $0.64. The announcement was published at 17:00. A Coinbase spokesperson confirmed that the announcement was published at exactly 17:00, but noted that the platform began accepting deposits at 16:55 UTC to ensure the process would work smoothly. Coinbase first indicated that it might add ZRX to its platform in July when it announced it was looking into a number of tokens for listing. At the time, the exchange said that residents in certain regions or jurisdictions may not be able to trade specific assets due to local laws.